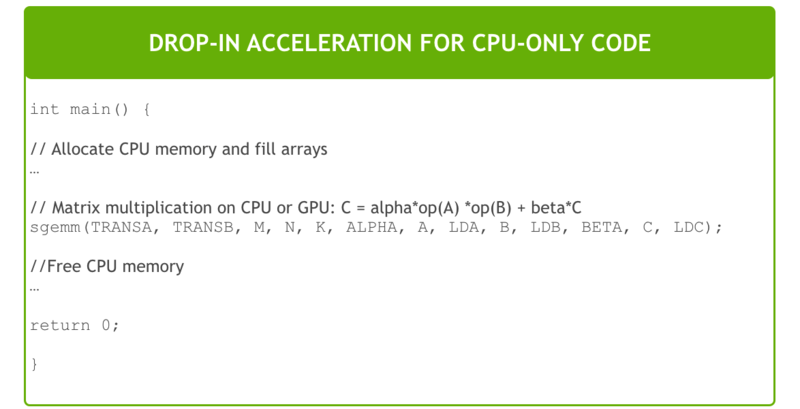 NVIDIA GPU-accelerated libraries provide highly-optimized functions that perform 2x-10x faster than CPU-only alternatives. 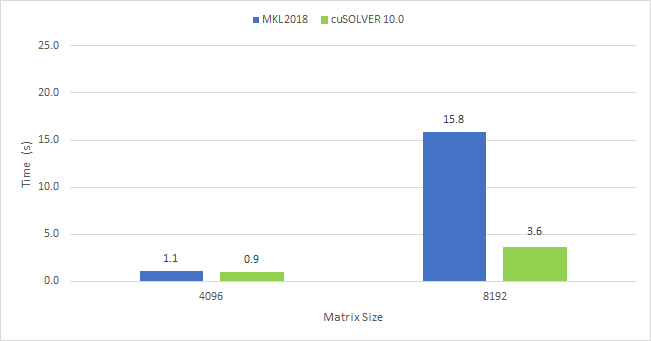 Using drop-in interfaces, you can replace CPU-only libraries such as MKL, IPP and FFTW with GPU-accelerated versions with almost no code changes. 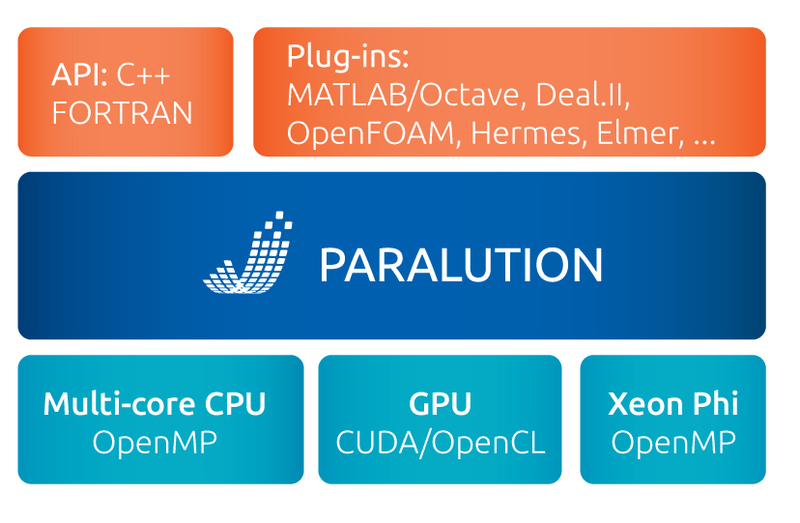 The libraries can optimally scale your application across multiple GPUs. 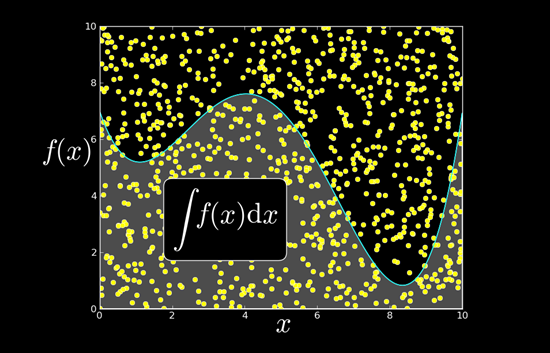 GPU-accelerated libraries for linear algebra, signal processing, image and video processing lay the foundation for compute-intensive applications in areas such as molecular dynamics, computational chemistry, medical imaging and seismic exploration. 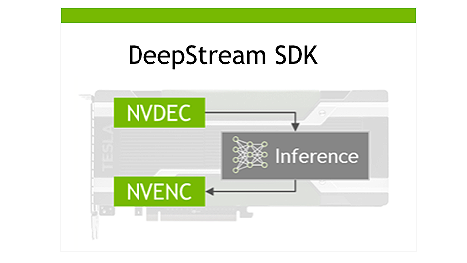 For deep learning, NVIDIA provides specialized libraries that are integrated with all the leading deep learning frameworks. 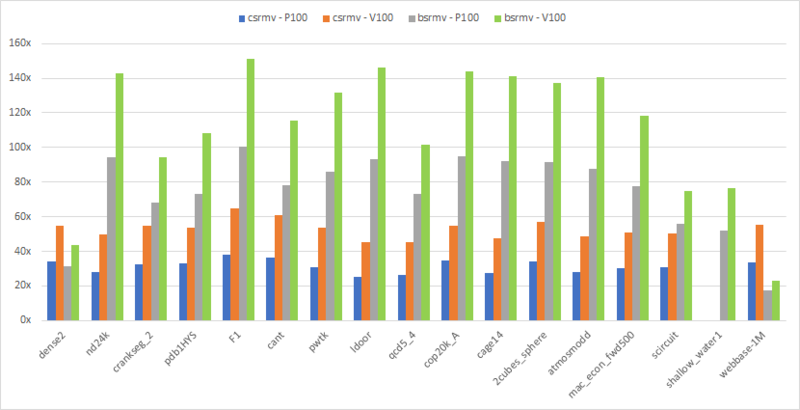 NVIDIA libraries use optimized precision to maximize performance for applications such as computer vision, speech processing and natural language processing. 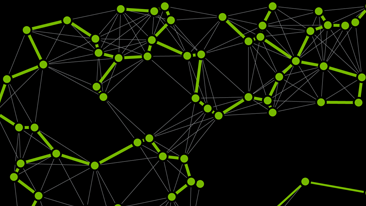 Today, NVIDIA’s libraries are running from resource constrained IoT devices, to self driving cars, to the largest supercomputers on the planet. With NVIDIA’s libraries, you get highly efficient implementations of algorithms that are regularly extended and optimized. 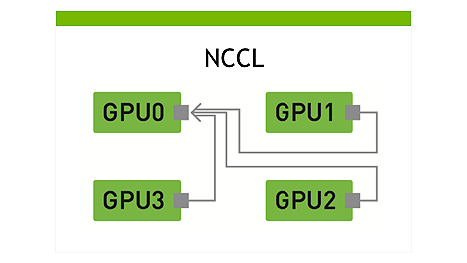 Whether you are building a new application or trying to speed up an existing application, NVIDIA’s libraries provide the easiest way to get started with GPUs. 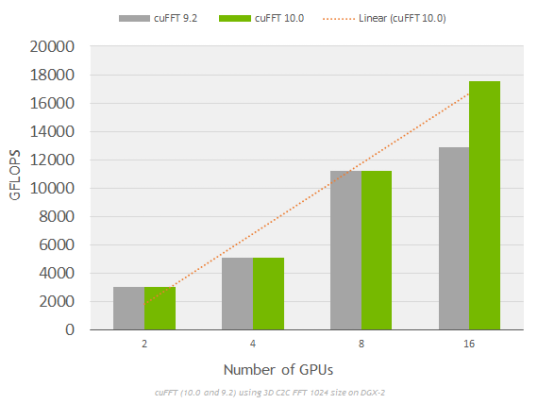 You can download NVIDIA libraries as part of the CUDA Toolkit. 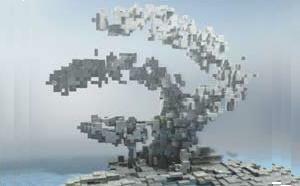 NVIDIA’s libraries help accelerate existing applications with minimal code changes. 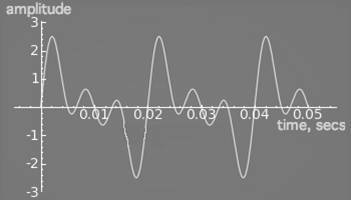 You can use them with languages that you already know, including C, C++, Fortran, Python and MATLAB. The libraries work across all NVIDIA GPU families whether they are running in a desktop, cloud or IoT device. So while developing your application, you do not need to bother about differences between development and deployment platforms. 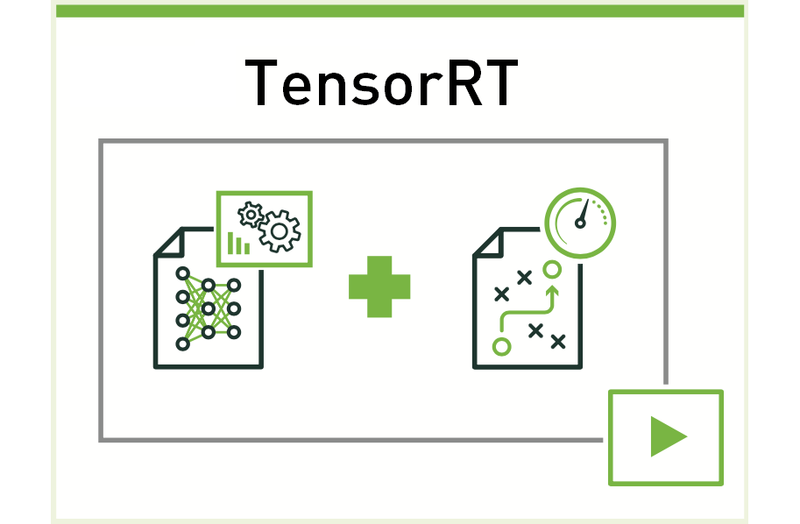 GPU-accelerated functions for sparse direct solvers, included in SuiteSparse linear algebra package authored by Prof.
NVIDIA Accelerated Computing Libraries are freely available as part of the CUDA Toolkit and OpenACC Toolkit. Deep Learning libraries are available separately. Members of the NVIDIA Developer Program get early access to the next CUDA Library release, and access to NVIDIA’s online bug reporting and feature request system.